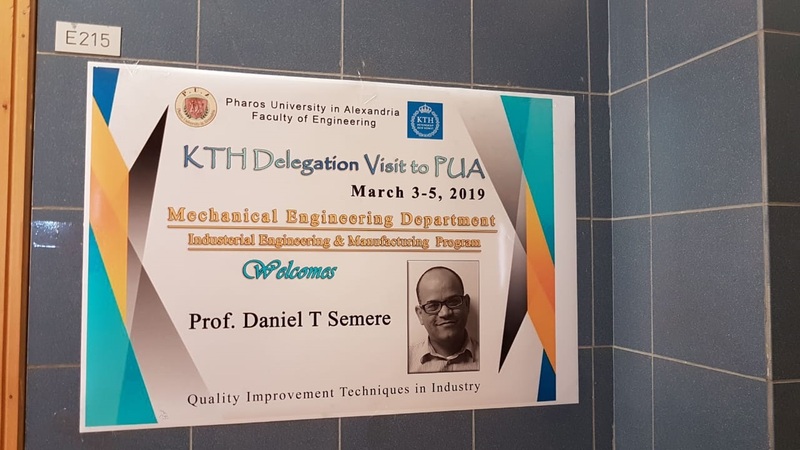 In the light of the visit of the KTH Royal Institute of Technology in Sweden to the faculty of Engineering at Pharos University from 3 to 5 March, 2019, the Mechanical Engineering Department (the Industrial and Manufacturing Engineering Division) hosted a lecture entitled “Quality in Manufacturing” for Prof. Daniel Semere, a member of the KTH delegation. 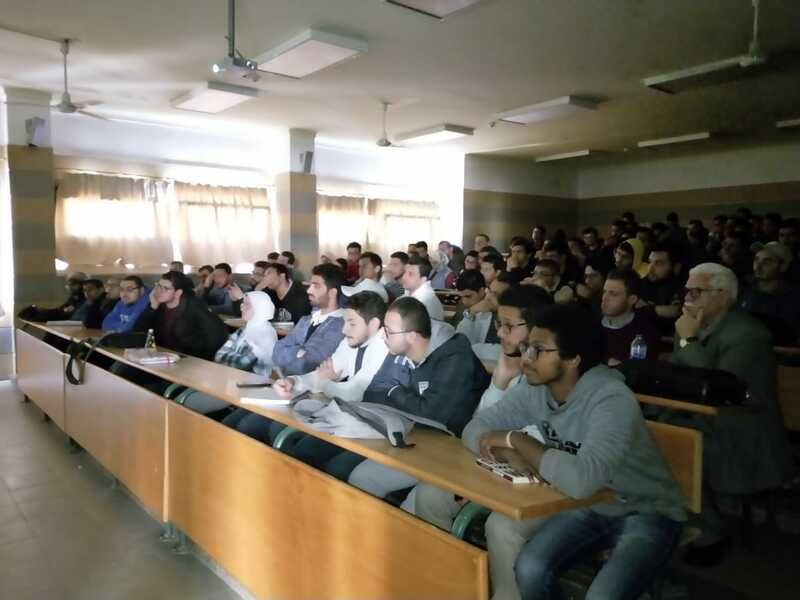 Students of the two programmes of the Mechanical Engineering Department: Power Engineering and Industrial and Manufacturing Engineering as well as many faculty members from inside and outside the university attended the lecture. 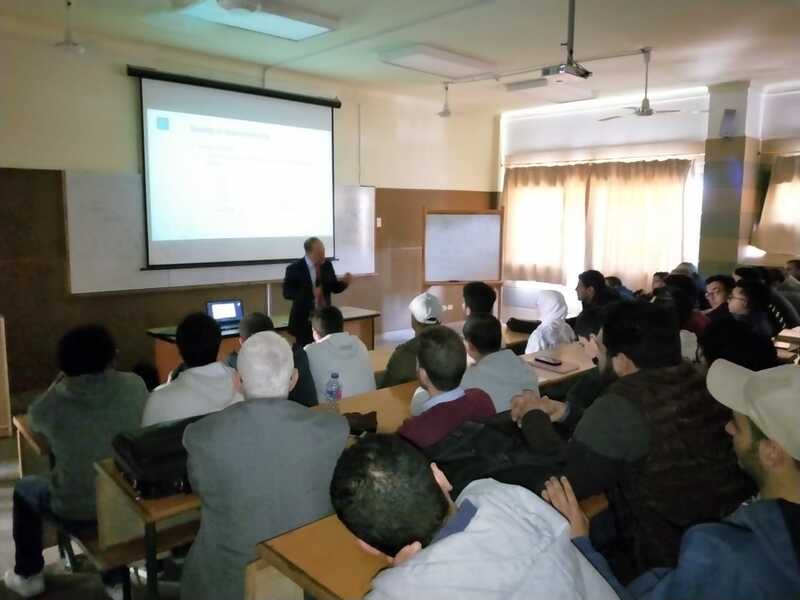 The lecturer talked about foundations of managing and planning product quality in the manufacturing process. He also introduced the students to the process of the product quality control: its equipment and techniques. 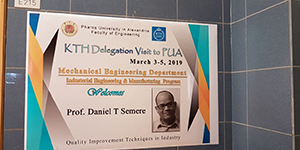 The lecture was enriched with discussions and interaction on the part of attendees which had a good impact on those interested and studying engineering specialties in general as well as those are specialized in Mechanical and industrial and manufacturing engineering in particular.